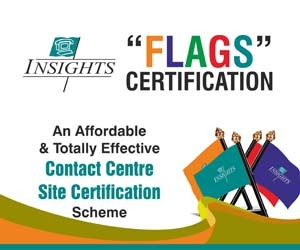 INSIGHTS approach to validation is based on our unique skills as a customer management source of excellence, the high quality tools and techniques we can bring to the project e.g. benchmarking reports, ongoing data collection from classroom and coaching sessions, training evaluation data and the use of automated tools such as SMS. The training competencies have been effectively implemented within the operation. This validation process consists of a written, web-based, knowledge assessment. This is further supported by practical assessment of the individual marketing effectiveness. 2. Ongoing assessment during all formal and informal training interventions and other project-related meetings. 3. Web-based, multiple choice, written test to ascertain if the individual understands the core competencies. The SUPERVISOR validation process consists of a written, web-based, knowledge assessment. This is further supported by assessment of their working performance, managing their team and facilitating the key objectives of their manager. 3. Web-based, multiple choice, written test to ascertain if the SUPERVISOR understands the core competencies. 4. Web-based questionnaire to be filled by team members in order to ascertain if the SUPERVISOR is utilising the core competencies in the team environment. 5. 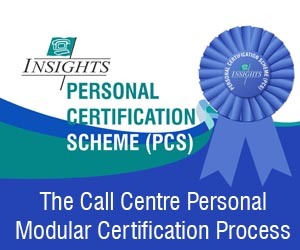 Web-based questionnaire to be filled by the call centre Manager in order to ascertain if the SUPERVISOR is utilising the core competencies in the Operational environment. The MANAGER validation process consists of a written, web-based, knowledge assessment. This is further supported by assessment of their working performance in supporting and managing staff and facilitating the key objectives of staff. 3. Web-based, multiple choice, written test to ascertain if the MANAGER understands the core competencies. 4. Web-based questionnaire to be filled by senior staff in order to ascertain if the MANAGER is utilising the core competencies in the operational environment. 5. Web-based questionnaire to be filled by the MANAGER/senior Manager in order to ascertain if the MANAGER is utilising the core competencies to facilitate the key objectives of senior managers while delivering consistently superior customer experience.